Whether you’re looking to get a base tan or to maintain some color through the darker months, Iowa’s great tanning salons will give you some glow! Each of these salons provide top-notch services where customers always walk away happy! From sunless tans, to aromatherapy and beauty treatments, these 10 tanning salons in Iowa provide the best of the best! Featuring both UV sunbeds and sunless spray tan booths, you can walk away with a healthy glow from Oasis Tan anytime of the year. To get the most out of your Oasis Tan experience, it’s worth buying multiple tans and getting the bulk discount, or a monthly unlimited plan which enables you to buy a second month for half the price. For an extra special occasion, patrons can take part in the “tan cocktail,” which features a session in the UV bed followed by a quick spray tan. Touted as one of Des Moines East Side secrets, Sun Seekers Tan Spa features stand-up tanning booths, sunless tanning stations and platinum beds to reach your maximum glow. Upgrade your visit into one of the Platinum Level 3 Beds and you’ll be treated to not only 12 minutes of perfect tanning, but also aqua cool mist, aromatherapy, cooling fans plus voice guidance and music. A great way to get a little sun back into your life, Sun Seekers has everything you need to stay vibrant throughout the year. Featuring high-pressured ENTROPY tanning beds and 10-minute tanning sessions, Electric Beach Tanning Salon focuses on providing the safest experience with the latest technology. The state-of-the-art tanning beds at Electric Beach provide a deeper tan with less burning, lending towards longer tans and the perfect base to protect you in sunnier environments. No membership is needed at Electric Beach Tanning Salon, although discounts are available for extended purchases, and whichever route you decide to take when visiting Electric Beach, you’ll leave with a little extra color. Featuring both a fully stocked gym and tanning center, Key West Tanning and Fitness is the first place to go if you want your body looking ready for swimsuit season. After your workout, you can hop into the tanning booths at Key West Tanning and get that extra glow, or take part in their custom sunless tanning packages to get the exact shade you’re looking for. With a focus on fitness and health alongside all the tanning beds at Key West, you can look, feel and be the best person you can be once returning from your visit to Key West. Offering exclusively custom airbrush tanning, Bronze515 focuses on not just giving people the little extra color of confidence they’re looking for, but also on a healthy way to do it. Using gluten free, vegan, paraben, and cruelty free products, Bronze515 was built from a life in UV beds, and a desire for a healthier way to get the extra glow. Bronze515 is only available by appointment, and each session is custom tailored to match the needs of each client, making it many people’s first choice when it comes to getting a professional tan for a special experience. Featuring an array of spa services on top of the many tanning options, the Signature Salon and Day Spa in Altoona can have you feeling like a brand-new person with just one visit. Signature Salon has multiple different tanning beds to choose from, as well as sunless tanning packages, allowing for a variety of different options when it comes to how you want your tan to develop. Single sessions for the tanning beds at Signature Salon run for $25, and multiple discounts are available for multiple sessions bought at a time. 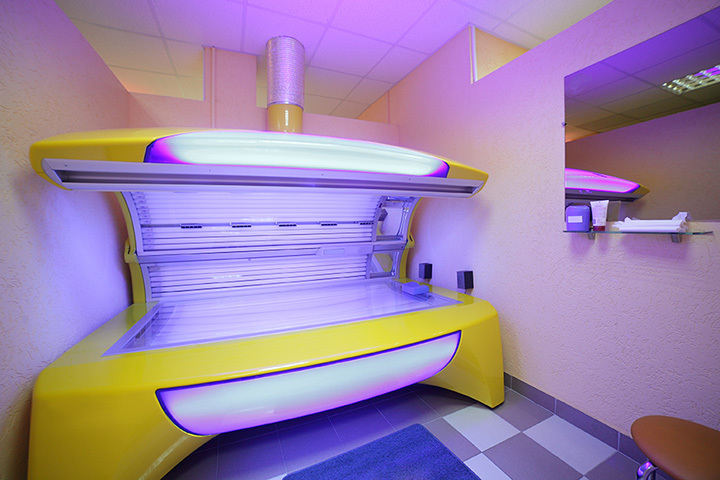 With low, medium and high-pressure beds to choose from, the Sizzlin’ Cabana Tanning Salon can meet all your tanning needs throughout the year. Each tanning room at Sizzlin’ Cabana features spray deodorant, body lotion and a personal radio, and besides the amenities found within the private rooms, the staff at Sizzlin’ Cabana is knowledgeable and friendly, ensuring each visit is a comfortable one. While drop-ins are welcome at Sizzlin’ Cabana, monthly packages make your visits more affordable, and if it happens to be your birthday, be sure to drop on in to get your free tanning session. With every tanning bed at Rayz Tanning equipped with a bronzing lamp, you’ll be sure to get that deep tan you’re looking for with each visit. Featuring five levels of tanning beds, whether you’re looking to maintain some color or get the base tan for an upcoming vacation, Rayz Tanning has you covered. If you’re looking for a sunless option, Rayz also delivers when it comes to spray tans, leaving you with a healthy glow after each visit. With each stop into Rayz Tanning, you can always expect a clean, professional atmosphere perfect to get the exact level of tan you’re looking for. With three different locations spread out across Cedar Rapids and Hiawatha, including a total of 42 different UV tanning systems, there are a lot chances to find that glow you are looking for at Hollywood Tan. Featuring special packages and UV-free tanning options, the more you visit Hollywood Tan the more you save, and the deeper your tan settles in. Whether you are looking to get a base tan for an upcoming exotic trip, or you want to maintain some healthy color in the colder months, with the many locations and special promotions offered by Hollywood Tan, you can feel like a better you throughout the year. If you’re looking for a tanning salon that will treat your skin with the care and attention it deserves, then The Hot Spot in Dubuque is right for you. Family-owned and operated, the Hot Spot’s core mission is to provide a safe way and education for people to keep their bodies healthy and happy. Featuring both traditional tanning beds and lamps, The Hot Spot also provides red light therapy with their Red Ray Beds, and as one of the most affordable tanning options in Iowa, you can easily see the good results through multiple visits to The Hot Spot.